Dr. Shawn Joseph visits with MNPS elementary students. We are getting really worried about the state of Metro Nashville Board of Public Education and their interactions with Dr. Shawn Joseph. It is time to speak. It is perfectly valid for our school board to review aspects of our school system where they have concerns and ensure that everything is operating properly. That’s their job. We wouldn’t expect any less. 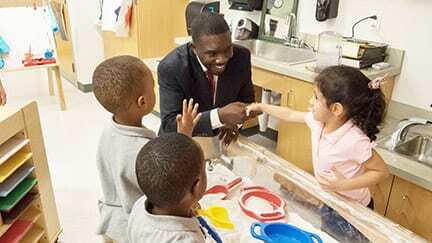 But it is also Dr. Joseph’s responsibility to put into practice methods he feels are the most effective for the students we have placed in his care and to implement measures to assist the teachers who he works to support and direct. That’s his job. But that’s not the problem. Our school board is stuck in a bog, with two camps dug in and determined to stay there. From an outside perspective, it looks to us that misunderstandings are occurring left and right. Words are being spoken without careful measure, and feelings are understandably being hurt at nearly every turn. Our school board has fractured itself. We’ve watched them struggle to find workable solutions, and Dr. Joseph’s recent performance review is a perfect example. To put it into schoolyard terms, he was given an A, an F and essentially every grade in between on the same job requirement. This happened over and over again. How can one board member say he was the very worst they’ve seen and did the poorest that could be expected, and another say he was the very best they’ve seen and did the best that could be expected? On the same part of his job? Something’s not right. How can someone find the true measure of his or her performance with so many differing opinions? Which one is correct? Even when these results are combined into a single average, it still doesn’t reflect the fact that some scored him the worst while others scored him the best! The facts remain true: We have not seen one instance yet where Dr. Joseph or his team have been unwilling to answer a question or provide information to fill a request. Our biggest concern right now is over the very state of our school board. We cannot recall a time in recent history in which the board has been so bitterly divided. We are more heartened by what we’ve seen from the school system in recent months than what we’ve seen from the school board. There are clear signs of progress and improvement under Dr. Joseph’s leadership. More high school students are earning college credit while still in high school than last year. Termed dual enrollment, there are now 1,470 kids earning college credit, which is up from 973 just in the prior year alone. That’s a nearly 50 percent increase. Impressive. Equally impressive is the fact that the number of elementary and middle school students in grades 3 through 8 who are improving in their reading scores is growing – and growing faster than the state average. Under Dr. Joseph’s leadership, MNPS has tripled the number of schools participating in the “Communities in Schools” program, which is designed to help prevent student dropout – going from nine schools last academic year to a total of 17 in 2017-18. On a related note, the school district has also achieved greater success for those students whose paths are well-suited to technical and industry careers, nearly doubling the number of students gaining industry certification from 415 students to 706. For what it’s worth, we would say that we have given Dr. Joseph a poor welcome to Nashville. In what was called “the shortest honeymoon” ever seen by seasoned journalists, we didn’t give Dr. Joseph a fair shake when he first came to town. Practically since he hit the ground running, he’s been under fire for consequences of actions, a number of which could be argued came to fruition under his office from previous administrations. But there’s a simple lesson that our school board should remember. St. Francis’s prayer is as applicable today as when he spoke it centuries ago. “God grant that I may not so much seek to be understood as to understand.” Here’s another. Walk a mile in someone else’s shoes. Here’s another good one. Listening is much more than waiting for your turn to talk. It’s imperative that our school board improve their methods of communication and start working as a team. Our kids deserve better. Our Metro Nashville Public Schools, under Dr. Joseph’s leadership, appears to be working hard to improve the futures of all its students. They are taking in criticism, working to correct oversights and continuing to focus on the future of its students. 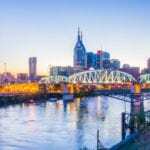 We should expect the same effort from our Metro Nashville Board of Public Education.